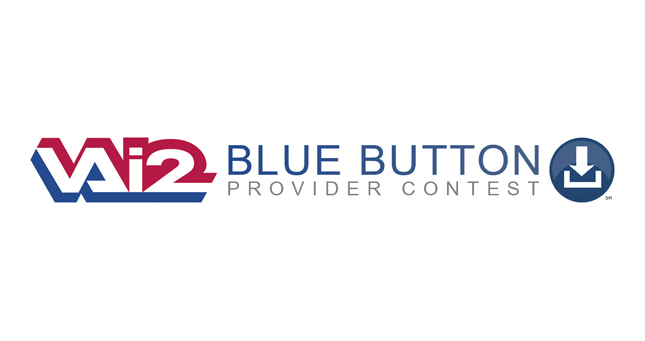 Welcome to the VA Blue Button Provider Contest blog. This is one place to come for news about the Contest -- and importantly, the place to come for any official guidance on the contest itself. That’s because if you send questions or comments which tell us that we need to clarify things about the contest, this is where you’ll read about it. And if you read a clarification here – on this Blog – you can rely on it when you send in your application for the prize. So what’s this contest about? A couple of things. Yes, there are Blue Button and Blue Button-like apps in use, right now. But they tend to be offered by large systems (like VA) or large health plans. We looked, but we didn’t find a Blue Button-type Personal Health Record (PHR) which a physician or physician group could easily set up on their website and routinely make available to their patients. So that’s why this contest is happening. The contest participant who goes home with the prize – or shares it with other participants – will be someone who helps doctors and physician groups across America install a simple and secure Blue Button PHR on the doctors’ websites. But the prize winner won’t be the only one who wins. Family doctors who install the Blue Button app will win – they’ll be able to connect with their patients just like the large health systems do. Veterans win, too – they’ll have access to a Blue Button PHR where they get their care, regardless of whether that’s at the local VA clinic or from a non-VA doctor. And the public wins, since if a Blue Button PHR is good for Veterans, it can be good for all patients, too. Have questions? There’s a Discussion forum on this website. We check it every day. (OK, so we check it several times day.) If you have questions, ask ‘em. If you have comments, weigh in. It’s likely your questions or comments will get responses by others – that’s what the Discussion forum is about. And check back here for more on the Blue Button Provider Contest.